Let Me Face the Peril! Game Masters shouldn't waste their time sketching maps whenever characters venture into the mountains. 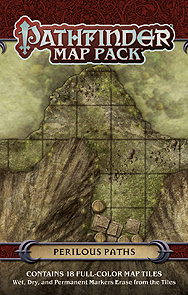 With Pathfinder Map Pack: Perilous Paths, you'll always have dangers ready as your adventurers scale the precarious peaks!